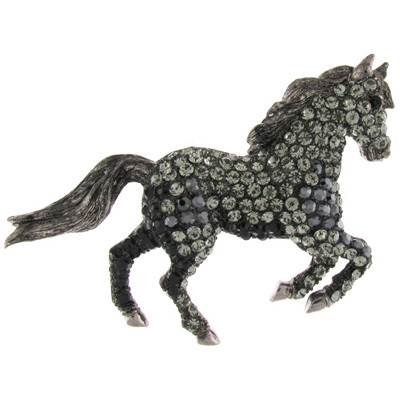 Divine galloping horse brooch encrusted with grey and jet black Swarovski crystals on an antique silver frame and fastens with a flag pin and revolver clasp. 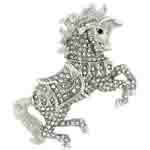 Measures: 7.3 x 4.8 cms. 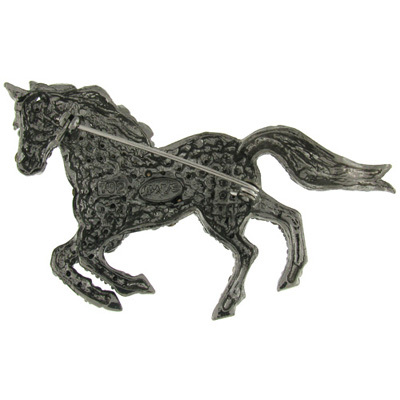 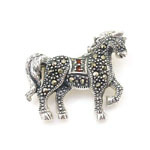 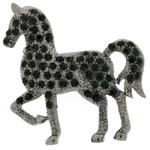 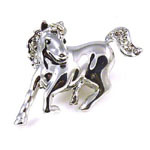 This brooch would make a wonderful gift for any horse rider.